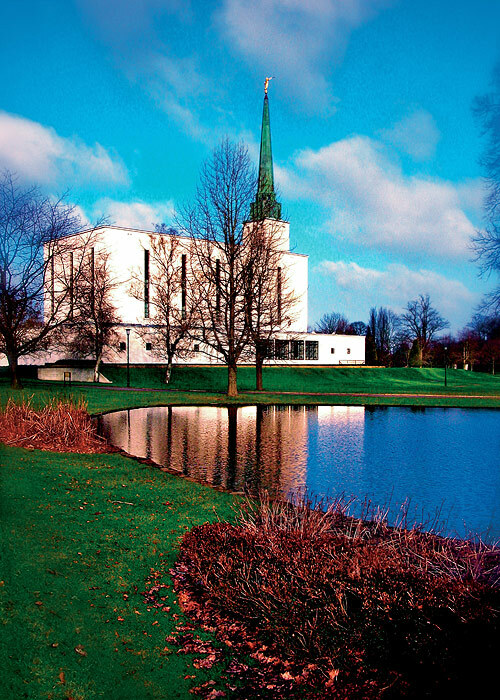 I took this photo of the London England Temple when my family went there with my brother as he received his endowment before going on a mission. I was so proud to see my brother go to the temple. As they were in the temple, I walked around the peaceful grounds, focusing on Heavenly Father. You don’t necessarily have to be inside the temple to feel close to the Lord. I reflected on how beautiful the Lord’s house is and how I can’t wait to one day receive the blessings of the temple. Seeing the joy on my brother’s face as he came out of the temple was a testimony-strengthening experience. I felt of his love for the Savior and could tell that temple blessings are like no others. This stunning picture reminds me of this special day and helps me focus on doing what’s right. I framed the picture and hung it in my bedroom so I can be constantly reminded of the importance of living worthy to one day enter the Lord’s house and receive my own endowment. I uploaded the photo onto my Facebook page, and I have received so much positive feedback from others. Everybody who sees this picture just loves it, and it has even generated opportunities to tell people about the gospel.